Poet Kerry B was born on August 20, 1986 to both Kerry Brackett (Pops) and Carla Brackett in Birmingham, AL. He is the oldest of three children. Poet Kerry B was educated throughout schools in Birmingham, with English, Math, and History as his favorite subjects. He loved hip hop and always wrote rap lyrics, but it was his freshman year in high school that changed his life forever. A friend wrote a poem and asked him to read it, and he decided to write a response. His friend replied, "You must write poetry all the time." Kerry B graduated from Homewood High School in 2004 with an honors diploma. To continue his education, he took his talents to Berea College in Berea, KY. It was there that Kerry B blossomed as a poet. First participating in talent shows, Poet Kerry B realized that sharing his poems was his release. He then begin to participate in many open mics around the Eastern Kentucky area under the name "Midnight Sun." Receiving many praises for how understanding his poems were, he couldn't stop writing. He became well known as a rhyme verse poet, twisting words to describe his philosophies and testimonies to whoever had an open ear. Poet Kerry B graduated from Berea College in 2008 with a Bachelor of Arts degree in African and African American Studies. Poet Kerry B is also an author, releasing two poetry books SOUL APPETIZER: A SAMPLER and AN OPEN TABLE, now available in the Store page! All of his spoken word CDs, MIDNIGHT SUNRISE, SOULFUL SEDUCTIONS, URBAN GRIOT, and KADENCE OF A POETIC GENTLEMAN are now available in the Store. Kerry B is currently serving as co-CEO of Kingdom Ink Entertainment, along with his wife, Queen Da Poetess. He is also the founder of the clothing line Word Artistry Tees. He has won multiple awards, including two National Poetry Awards in 2014 and 2015. He currently serves as a proud member of the Academy of American Poets and received a masters degree in English/Creative Writing at Southern New Hampshire University in 2016. 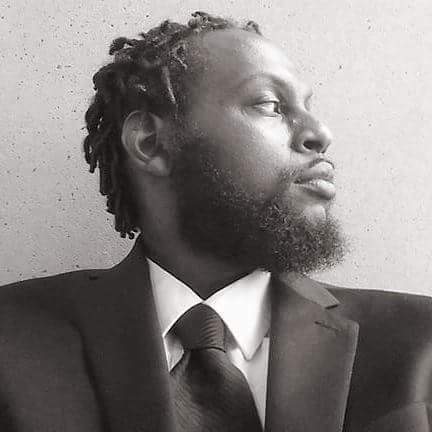 Poet Kerry B is currently a Ph.D. student in Humanities and Culture at Union Institute and University and is also an English Instructor at Miles College.. Poet Kerry B...Father, Husband, Son, Brother....and Poet.